I really like this bass solo by Paul Chambers. It’s not just an inspiring display of bowing prowess, it’s also a lesson in blues soloing. Even at 300 beats per minute, PC manages to build interest and intensity over the course of his solo. After picking up the bow, Paul takes a couple choruses to warm up; he starts with mostly longer notes and bowstrokes. By the third chorus Paul is ready to take it to a higher gear, and here he sets the tone for the rest of the solo by utilizing one the key elements of the blues, the “call and response”. The first 8 bars of the form feature a repeated rhythmic or melodic idea, followed by a counterpoint, or “answer”, in the last 4 bars. 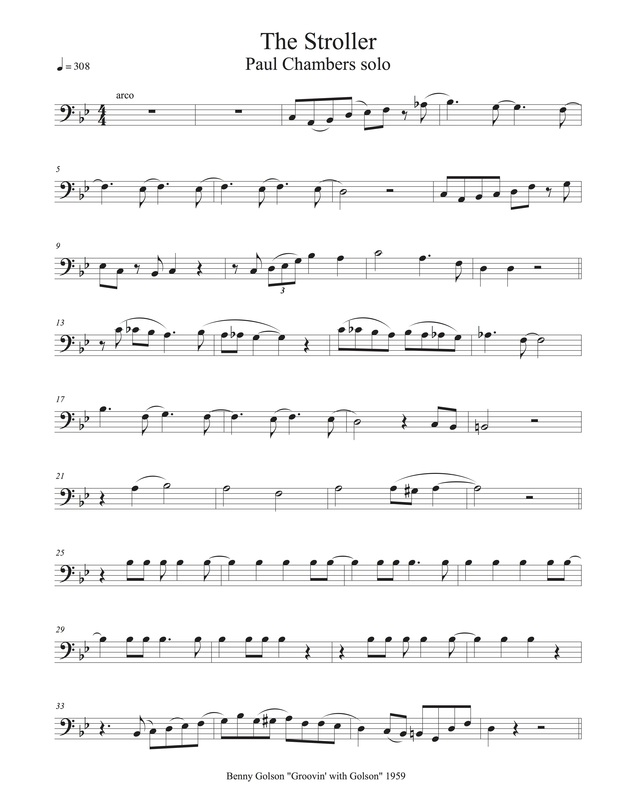 Pay attention to the answer here: every chorus after this will end with a slight variation on this same idea, and this helps the solo feel like one continuous unfolding of a theme. Each chorus after this will find PC expanding on the idea of call and response, adding energy and complexity until chorus 7 is just an unbroken string of 8th notes. After this, he raises the stakes again by shortening the length of his call phrase to 3 beats, squeezing even more repetitions into the first 8 bars. Finally, in chorus 9, the chromatic fall from Bb to Eb hints that the solo is winding down, and Paul provides a satisfying denouement by giving us that familiar answer phrase one last time. 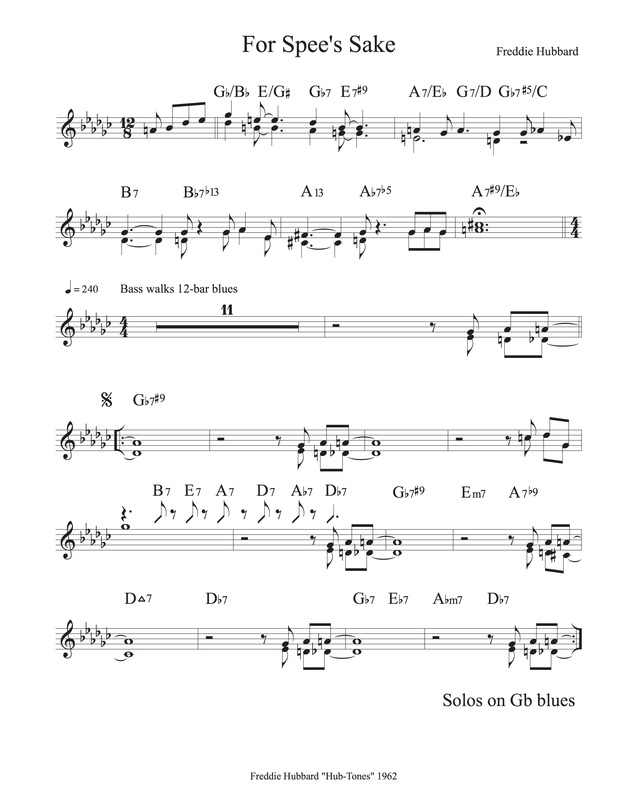 This entry was posted in Uncategorized and tagged bass, blues, jazz, music, Noteheads, Paul Chambers, solo, The Stroller, transcription on March 7, 2019 by noteheads.